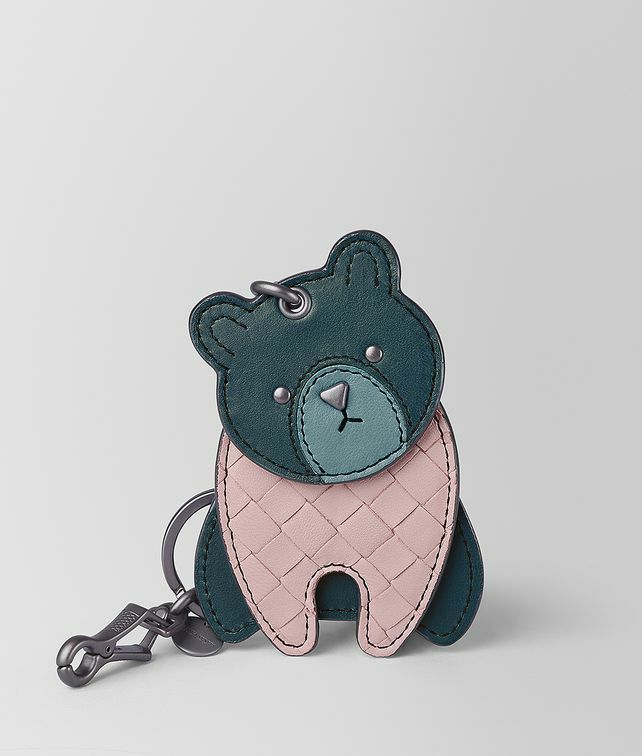 This playful keychain charm is hand-crafted from a mix of smooth and handwoven nappa leather in the shape of a bear. Finished with signature brunito hardware. Depth: .5 cm | .2"